Eric Naki elaborates in The Citizen on how incorporating Zuma into the ANC’s campaign trail could affect the party at the polls on May 8th. This is according to our latest SACS data which indicates that over 50% of their supporters would be less likely to vote for the party if #Zuma was part of their campaign. More than 50% of ANC supporters would be less likely to vote for the party with the former president on its campaign trail, a nationwide survey reveals. 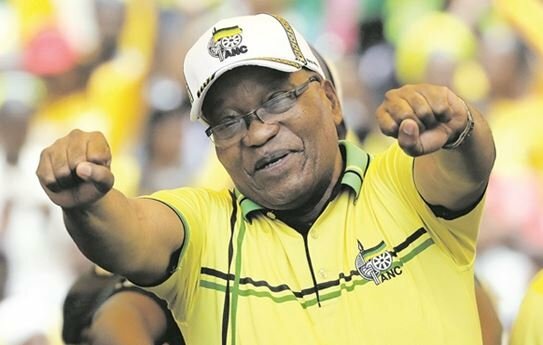 The presence of Jacob Zuma in the ANC election campaign could hurt the party at the May 8 election as many ANC supporters could desert the party because of him, a new survey has established. The South African Citizens Survey asked ANC supporters about the effect Zuma would have on their voting behaviour, were he to be deployed on the ANC’s campaign trail. “The results indicated that 53% of potential ANC supporters [10.6 million] would be less likely to vote for the ANC, while 34% [6.7 million] would be more likely to vote for the ANC in this scenario,” the report said. However, political analyst Lesiba Teffo lambasted the ANC supporters in the survey sample for being “less than honest” in their view about Zuma. “People vote because of what is in it for them. Many would have voted for Zuma if he was still wielding power. They were being less than honest,” Teffo said. The ANC has been using Zuma during its campaign in KwaZulu-Natal to lure voters on his home turf, but that seemed to have changed due to a fallout with President Cyril Ramaphosa, who recently described Zuma’s rule as “nine wasted years”. The data was collated from face-to-face interviews, conducted in January 2019 with a nationally representative sample of 1 300 respondents. The study found that a massive 65%, or 13.1 million, ANC supporters preferred Ramaphosa over Zuma, who received a mere 20% of the votes. The same study showed that 2.9 million, or 15%, of ANC supporters regarded the two leaders equally. The report found that Ramaphosa outstrips Zuma in terms of preference across the provinces, except for KwaZulu-Natal, where 51% of ANC supporters still prefer Zuma over Ramaphosa. “South Africans have long known that former president Zuma’s stronghold lies in KwaZulu-Natal and, considering that only 23% of ANC supporters in this region prefer President Ramaphosa over Zuma, one might assume that the ANC would consider incorporating Zuma into their campaign, specifically in this province,” said Reza Omar, strategic research director at Citizen Surveys. Interestingly, Ramaphosa’s main support came from the Western Cape at 89%, where Zuma had just 7%. Ramaphosa’s next big province was Eastern Cape (79%), with Zuma at 10%, and Mpumalanga (77%), with Zuma at 14%. Ramaphosa was only favoured by 23% of the people in KwaZulu-Natal, Zuma’s home province. Even in his suspected strongholds such as the Free State and North West, Zuma appeared to not enjoy huge backing. In the Free State, Zuma was supported by a paltry 9% of ANC supporters. He also didn’t fare too well in North West (19%), Gauteng (18%), Limpopo (11%) and the Northern Cape (10%) . It appeared the majority of the provinces that supported Nkosazana Dlamini-Zuma prior to the ANC’s Nasrec conference, except for KwaZulu-Natal, have moved to Ramaphosa since he was elected as the party and the country’s president. In terms of the latest data, save for KZN, the provinces of Mpumalanga, the Free State and North West are firmly behind Ramaphosa. Teffo said Ramaphosa and the ANC understood that Zuma remained strong, not only in KwaZulu-Natal, but in other provinces as well. “If he were to go to North West or Limpopo, nobody would fill the stadium like him. “The ANC knows he is a crowd-puller, hence they roped him in in KZN,” Teffo said.